Augmented Cyber Reality: Part 1 | Red River | Technology Decisions Aren’t Black and White. Think Red. Modern cyber security and Information Technology has become all about the data. Moving, sharing and especially protecting mission and business data. However, the pace of demand around protecting our mission and corporate data is straining many security teams. Information security is the new technology landscape, as IT is in almost every aspect of mission and business. If we truly expect tens of billions of new devices on the network by 2020, will we be ready? It begs the question, just how many new security devices will be added and how much additional security data will be produced? What if instead, we could have machines look for patterns in the sea of data, and highlight anomalies and patterns beyond what humans can easily see? Then let humans do what they do best, and tie events, intentions and risks together. The obvious answer is that we need an Augmented Cyber Reality. In this multi-part series, our teams will share the DNA of Augmented Cyber Reality and five applications across traditional and emerging Cyber Security areas. In Information Technology, innovation is often seen as either evolutionary or revolutionary. There are pros and cons to both. Within the technology community, innovative leaders such as Red River see ourselves as the “enablers of rapid evolution,” specifically within the realm of Cyber Security. Red River makes a concerted effort to catalyze the adaptation of traditional cyber security policies into a methodology that speaks to the growing business needs and elevated threat of attack organizations face today. As a result of this ideology, Red River has developed the practice of Augmented Cyber Reality, the evolved state of legacy Cyber Security. Today, we live in a world where IT is everywhere, within everything, and it is estimated that by 2022 the cyber security sector will face a 1.8 million worker shortfall based on today’s rate of growth. (ISC2 survey released June 2017) There is a constant flow of new data not only from client end points, but also from security devices and infrastructure. The current reality is that customers need to analyze this data and overlay key information, while injecting foresight into traditional monitoring capabilities. However, when an incident occurs, they can easily fall short. We need an Augmented Cyber Reality. Plus the emerging realm of Software Defined…. How do we lock out the bad guys? How do we avoid losing our data? Are Authorized Users accessing the data? How do we protect data where the Mission resides? Let’s evaluate how the implementation of ACR align with these questions? We need to start with a granular understanding of traditional data center security, this aids in generating a baseline of what’s ‘normal’. Identifying standard behaviors helps determine what occurrences are outliers, notable, and actionable. Once the baseline is created ACR principles are applied. UBA helps businesses understand what and how users are leveraging data. Because Insider threats are real, and external individuals may try to pose as insiders…. UBA is critical to baselining your normal operations AND recognizing anomalies early! The security industry has some leading tools and best practices to address these questions and Red River assists agencies with selecting the appropriate tools that fit the specific environment of each organization. 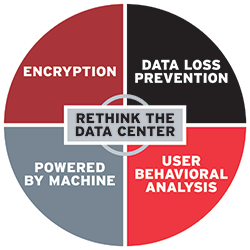 Red River helps organizations EVOLVE their security posture. Gone are the days where individuals with malicious intent are thwarted by moats and walls (firewalls). The approach of Augmented Cyber Reality takes the tradition style of data center security which has stout exterior prevention mechanisms with weak interior policies and infuses the entire data center with a methodology that hardens it to the core. Follow Red River of over the next few weeks to find out more about the tenants of Augmented Cyber Reality.